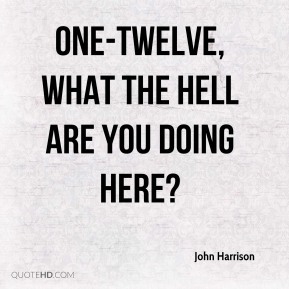 One-twelve, what the hell are you doing here? 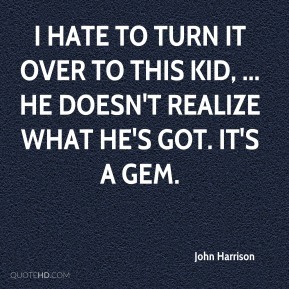 I hate to turn it over to this kid, ... He doesn't realize what he's got. It's a gem. 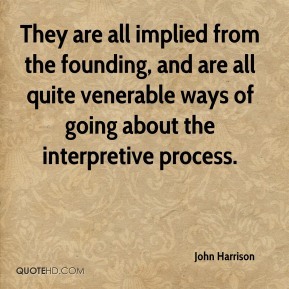 They are all implied from the founding, and are all quite venerable ways of going about the interpretive process. 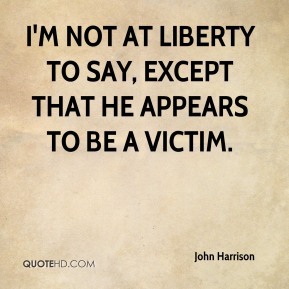 I'm not at liberty to say, except that he appears to be a victim. There is no trading market like this. 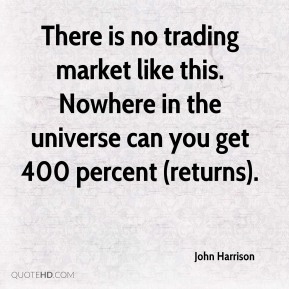 Nowhere in the universe can you get 400 percent (returns). They promise exorbitantly high rates of return, as much as 400 percent, ... 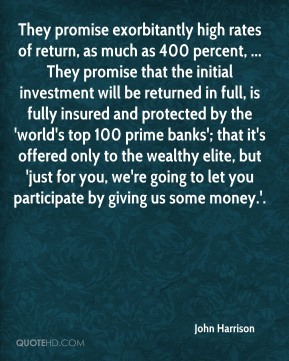 They promise that the initial investment will be returned in full, is fully insured and protected by the 'world's top 100 prime banks'; that it's offered only to the wealthy elite, but 'just for you, we're going to let you participate by giving us some money.'. We have victims from around the country, as well as from outside the country. 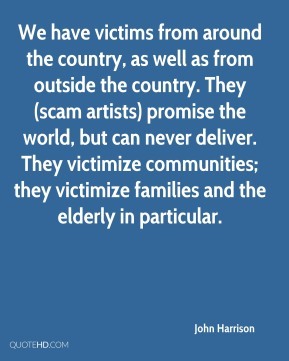 They (scam artists) promise the world, but can never deliver. They victimize communities; they victimize families and the elderly in particular. 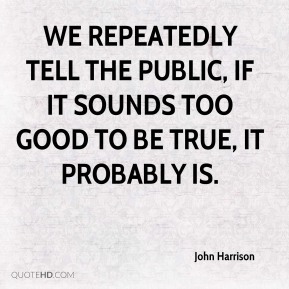 We repeatedly tell the public, if it sounds too good to be true, it probably is. 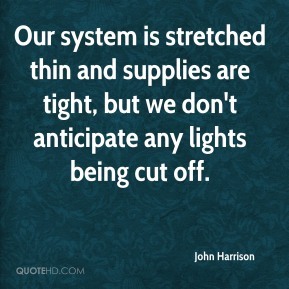 Our system is stretched thin and supplies are tight, but we don't anticipate any lights being cut off. I would hope that Frank Herbert is smiling down on this and enjoying what I've done. 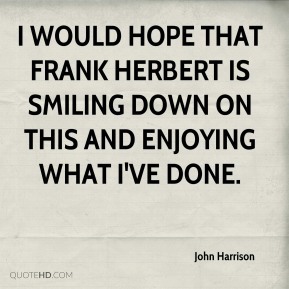 Perhaps one of the things I'll get criticized for, ... is the choice not to use the internal monologue that Herbert used in the book. 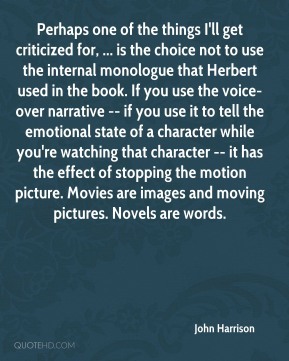 If you use the voice-over narrative -- if you use it to tell the emotional state of a character while you're watching that character -- it has the effect of stopping the motion picture. Movies are images and moving pictures. Novels are words. 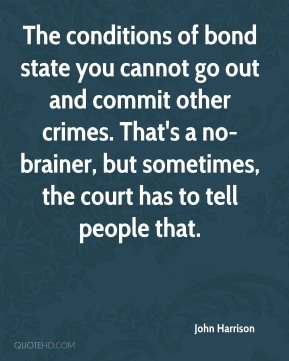 The conditions of bond state you cannot go out and commit other crimes. That's a no-brainer, but sometimes, the court has to tell people that. It's a payment basically made to shut you up, ... There's some money given to victims who complain. When that happens, the victims tell people of their success, that they actually got money. 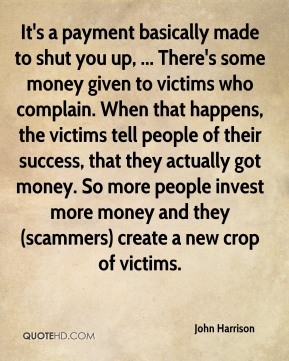 So more people invest more money and they (scammers) create a new crop of victims. 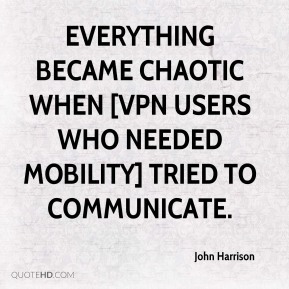 Everything became chaotic when [VPN users who needed mobility] tried to communicate. 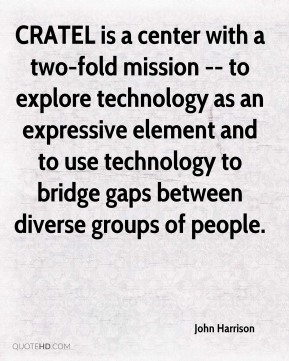 CRATEL is a center with a two-fold mission -- to explore technology as an expressive element and to use technology to bridge gaps between diverse groups of people. 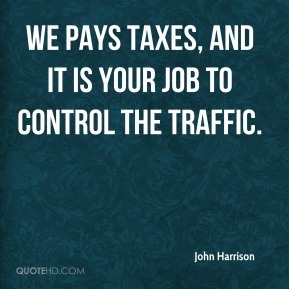 We pays taxes, and it is your job to control the traffic. 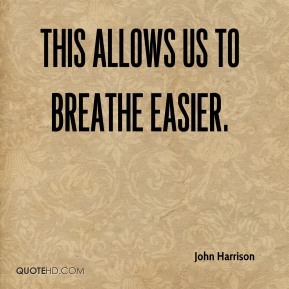 This allows us to breathe easier. We are delighted to offer pint-sized inventors a unique opportunity to dream up their own frozen pop creations. 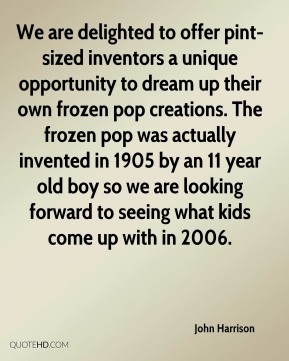 The frozen pop was actually invented in 1905 by an 11 year old boy so we are looking forward to seeing what kids come up with in 2006. 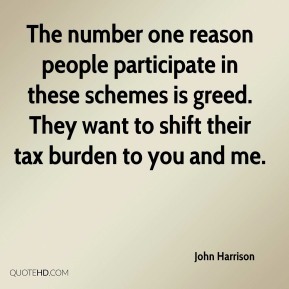 The number one reason people participate in these schemes is greed. They want to shift their tax burden to you and me.